The portion of the total drag of an aircraft exclusive of the induced drag of the wings. The resistance of the air produced by any part of the airplane that does not produce lift. 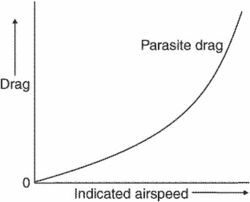 The parasitic drag is directly proportional to the size (S), the square of the speed (V2), the density (ρ) of the air, and the degree to which the body is streamlined. Parasite drag is further divided into skin friction, form drag, and interference drag. Parasite drag is directly proportional to the square of the speed. See also skin friction, form drag, and interference drag. In 1957, the first parasite resistance to CQ was reported. The possible increase of parasite resistance to treatment highlights an urgent need to map K13 mutations throughout the malaria-endemic world (7). 2] (for the side of the network) are parasite resistances. WHO in the new guidelines has recommended that oral artemisinin-based monotherapy should be removed from the market because their use will hasten the development of parasite resistance. falciparum isolates collected in the Artibonite Valley in Haiti in 2006 and 2007 carried a mutation associated with parasite resistance to chloroquine (5). This updated third edition takes into account the global HIV/AIDS epidemic, the increasing parasite resistance to commonly available anti-malarials and the field experience of agencies using the emergency health kit. However, this approach has never been applied to oyster stock, and no genetic markers associated with pathogen or parasite resistance are currently known in oysters. Chris Warkup points out that the new information will now be used to develop practical tools for the high throughput mapping of production traits with the aim of identifying genes to improve important characteristics like production efficiency, meat and wool quality and disease and parasite resistance. Because of increasing parasite resistance to antimalarials, particularly chloroquine, the World Health Organization (WHO) recommends a new treatment combining two antimalarials, one being a derivative of artemisinin. The management tool comes at a time when there is growing concern in livestock industries that over-use of wormers is increasing the level of parasite resistance. Dr Reusch said: "There are two strategies for MHC-related sexual selection, representing solutions to two different problems, inbreeding avoidance and parasite resistance.